How much did the 40-day break help? It was of immense help. The break helped our injured players recuperate. We were going through a bad phase just before the break and now we stay upbeat and confident again. Most importantly, we have a full squad at our disposal. After all, an injury-free squad boosts you up psychologically. What stayed the highlight of the break? For me, it stayed off the field. Raymond Verheijen has to be right up there as one of the lifetime experiences during this break. He is such a big personality in the Football World and the three-day Conditioning Course virtually changed my outlook towards the game. I strongly believe that if we can follow the regime and implement it in years to come, Indian football will grow leaps and bounds. Our Technical Director Mr. Rob Baan’s Master Plan has shown us the roadmap. Such a Course during the break was so refreshing. Three Pune FC players were part of India’s AFC Challenge Cup campaign. How do you see it? I am very happy for Arata (Izumi). Over the years I have seen him improve so much in front of my eyes. He has adjusted to Indian conditions well. He has worked very hard to play for India. As far as Jeje (Lalpekhlua) is concerned, he needs to stay injury-free and I pray that he does. He is an extremely talented footballer who has immense potential. He needs to stay focused and eye that place regularly in the National Team. Gurjinder (Kumar) is one for the future. He has been a fine player, full of energy. I’m proud he made his debut for the country. We also have quite a few talented players in our Academy who are waiting in the wings for a call-up. Where does Pune FC go from here? We have played well this season. The balance of the side is very good and it’s paying off. We lost a focus a bit after winning nine on the trot. But against Mumbai FC, though we lost but our boys played really well. It is not always that result reflects the true story. Our aim is to finish on top. Who would you rate as the favourites in the I-League? Churchill Brothers, East Bengal and Dempo look good. Frankly it is difficult to pick one favourite at the moment. The battle is very intense and it will be closely contested. What’s the secret of Pune FC’s Academy Team staying so consistent in the U-20 League for I-League teams? Our management deserves all the credit for putting up such a sound Academy in place. A lot of emphasis is paid on Youth Development Programme and it’s really sound. 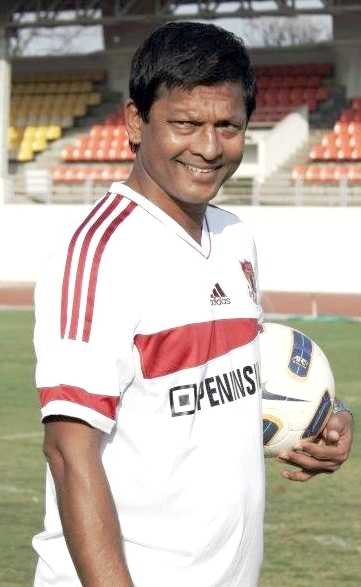 I need to mention Ranjan Chowdhury’s name and the entire Academy staff for their relentless efforts.